It was an excellent wedding anniversary, perfect color and all. 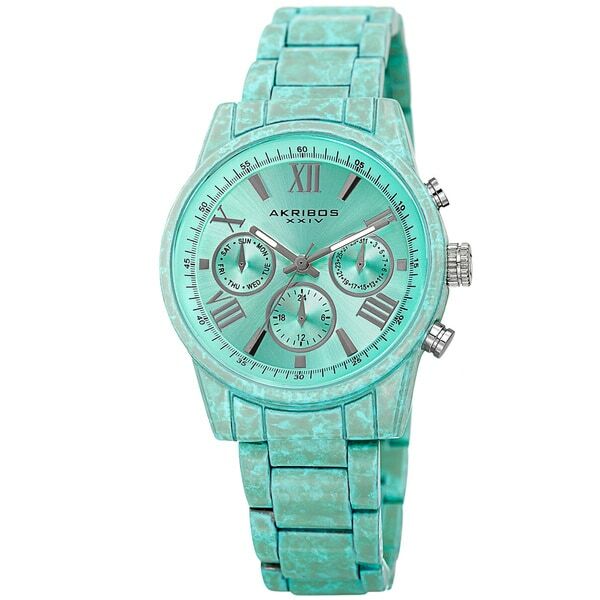 This fascinating women's design from Akribos features a marbling effect on the sturdy bracelet. Its aesthetic value is backed up by a quality ISA Swiss multi-function movement, which tracks day, date, and 24 hours on a radiant sunray dial.